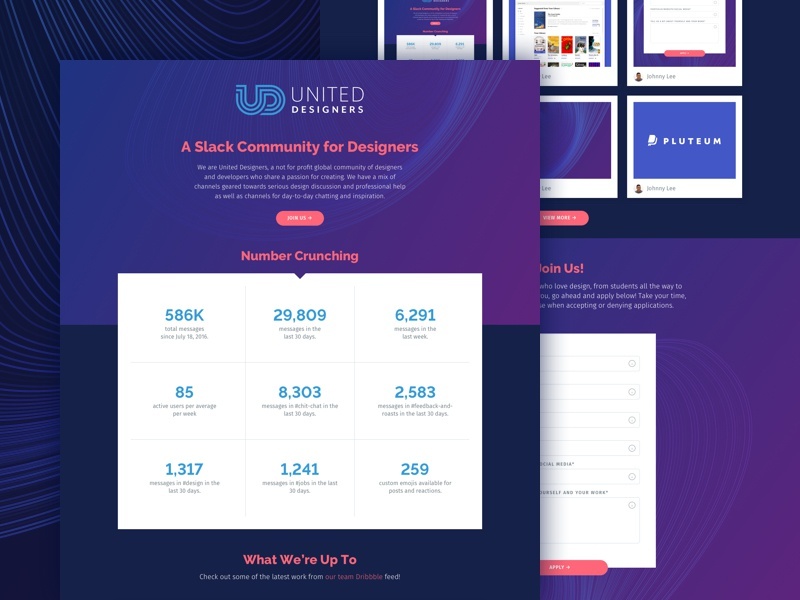 I’m pretty pumped to have had the chance to do the landing page redesign for the @[1750468:United Designers] Slack community! There are attachments that show the full page and some of the form elements. – Stats from the Slack group to show our activity. – A feed of the work of some of our members on Dribbble and links to UD articles on Medium. – Most importantly, the application form for people to join us. And thanks to all the others in the group that helped out with feedback and positivity!